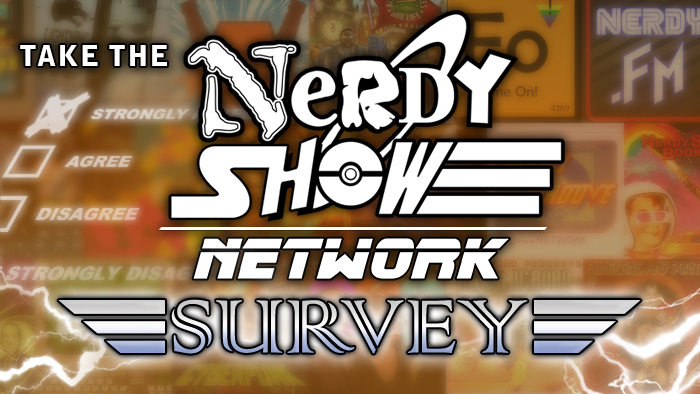 Nerdy Show –Take the Nerdy Show Network Survey! Whether you listen to all of our podcasts, some of our podcasts, Nerdy.FM, read our articles, watch our videos, or have any kind of opinion on something we do – we want to make sure that your Nerdy Show Network experience is the absolute best. That’s why we’ve made a survey so you can let us know what you like the most, what you like the least, how you connect with our content, and if we’re lucky, how to evolve Nerdy Show into the Charizard of nerd entertainment networks, forever and ever. THE SURVEY IS NOW CLOSED – Thanks! We’ve got two options: a short survey and a long survey. Just select which version you’d like on the first page. The long survey is extensive, but much of it is optional. The more you can tell us, the better we can improve.